Adirondacks - Bell Tower Lake House Living Co. 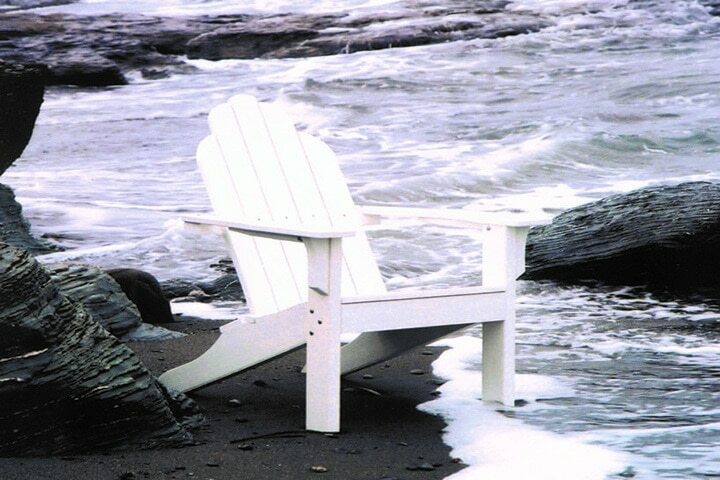 The adirondack chair is one of the iconic images of summer. It’s synonymous with front porches, lake houses, fire pits, beach cottages and back decks. 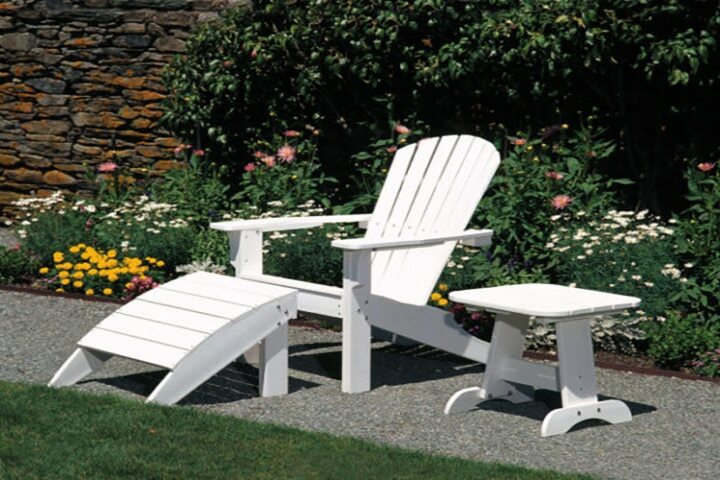 Bell Tower Lake House Living is proud to carry a variety of high-quality, low maintenance American made adirondack chairs. Styles from classic to contemporary, with all weather material varieties such as recycled plastic, marine grade polymer and teak. We have a large selection of instock inventory and other styles available to custom order. We carry several brands including Kingsley Bate, Seaside Casual, Casual Comfort, Pawley’s Island, Barlow Tyrie and Telescope Casual. 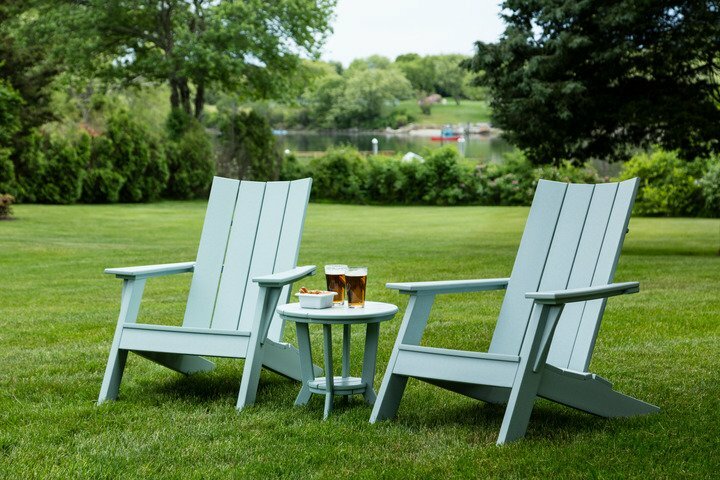 This Adirondack chair is made in the USA. 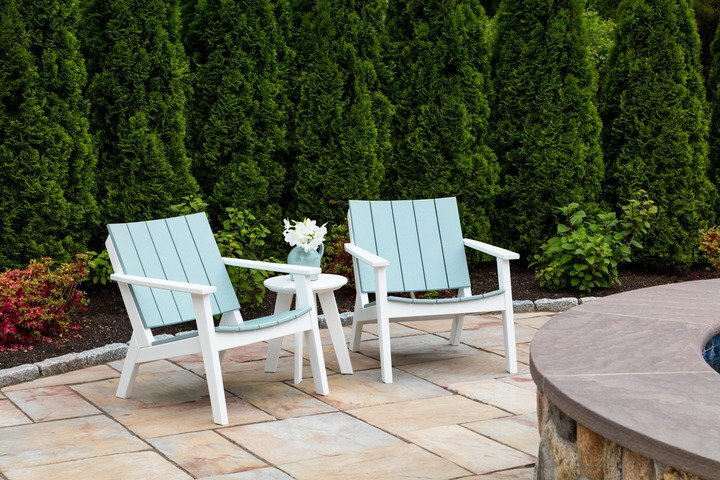 This Adirondack chair is made in the USA and made from 100% recycled plastic. Available in a variety of colors. This side table is made in the USA and made from 100% recycled plastic. Available in a variety of colors. This MADirondack chair is made in the USA and made from 100% recycled plastic. Available in a variety of colors. This MADirondack is made in the USA and made from 100% recycled plastic. Available in a variety of colors. 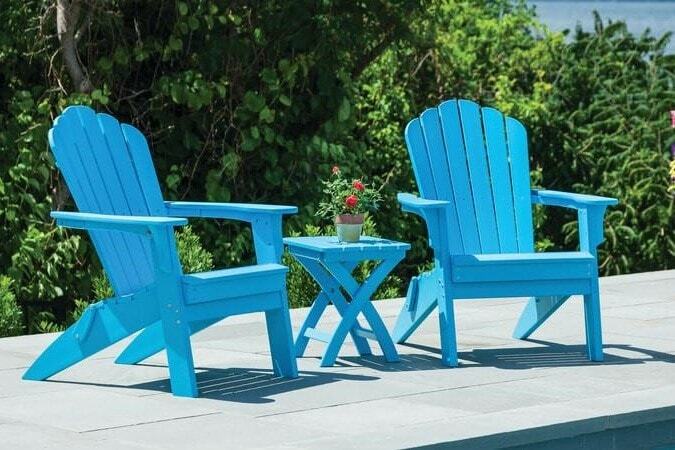 This Adirondack glider is made in the USA and made from 100% recycled plastic. Available in a variety of colors. 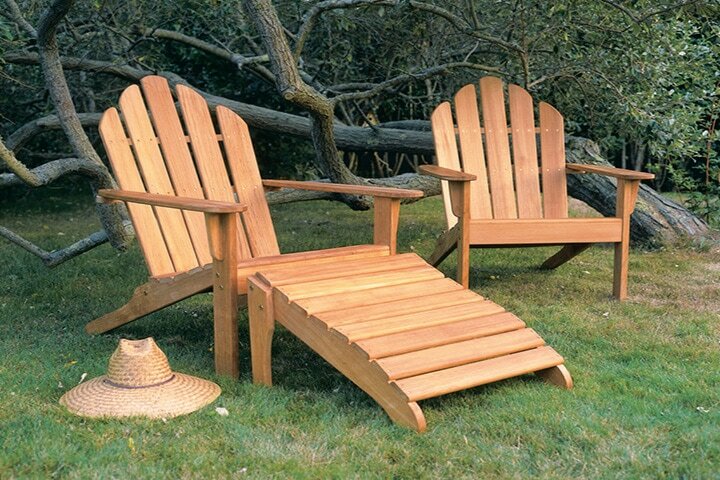 This Adirondack is made in the USA. Available in other colors and finishes. This Adirondack chair is made in the USA. Available in a variety of frame colors and fabrics.